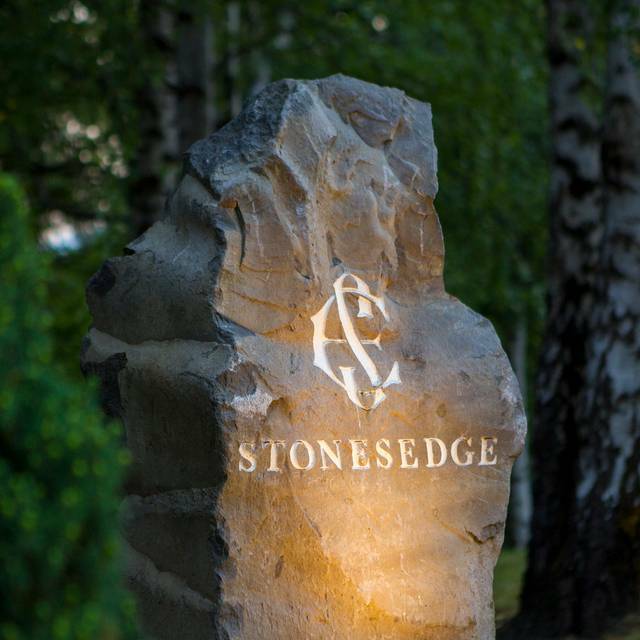 You must make reservations at least 5 minutes in advance of the time at Stonesedge Kitchen. Whistler Village has many parking options, find one that works for you and make your way to our doors in the pedestrian village. 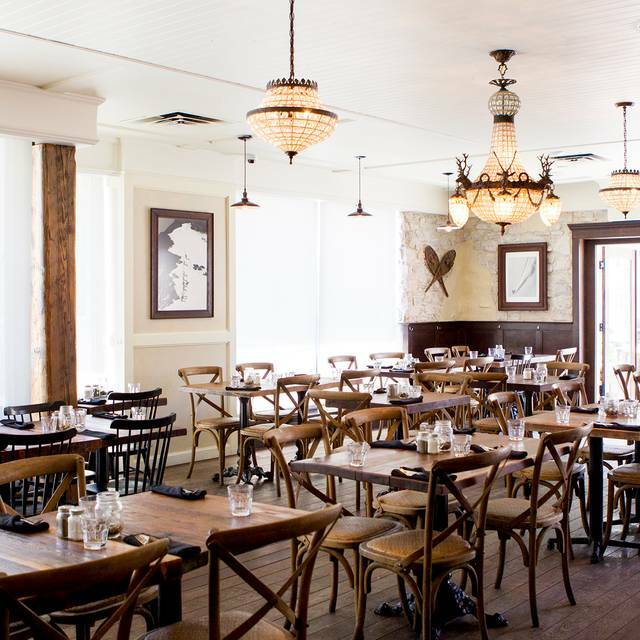 Chef Robert MacMillan and his team aim to nourish both the body and soul. We celebrate modern Canadian cooking; inspired by the mountains, fields, farms and waters of the Pacific Northwest. We offer seasonal sustainable meats and produce, and quality without complexity. 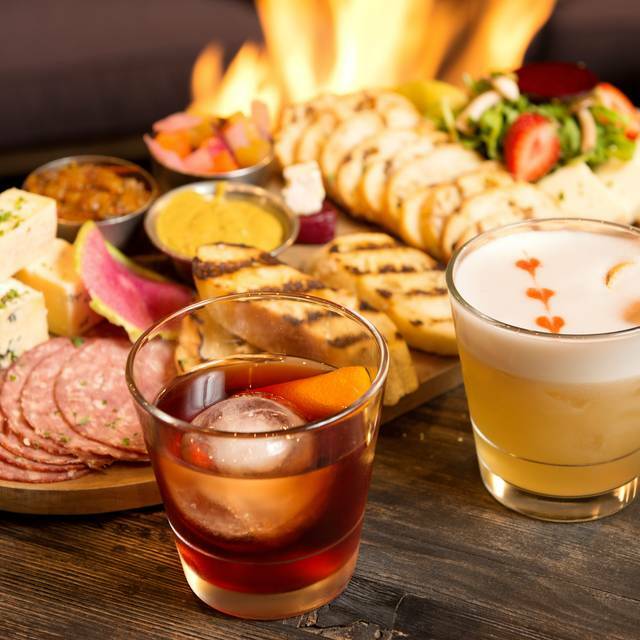 The bar focuses on approachable wines, excellent beer, and adventurous craft cocktails. 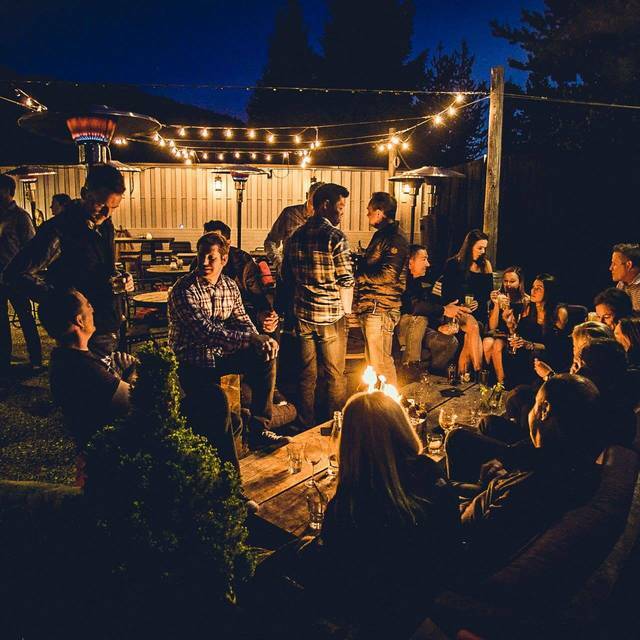 Our spirited venue is contemporary and comfortable, encouraging shared experiences. 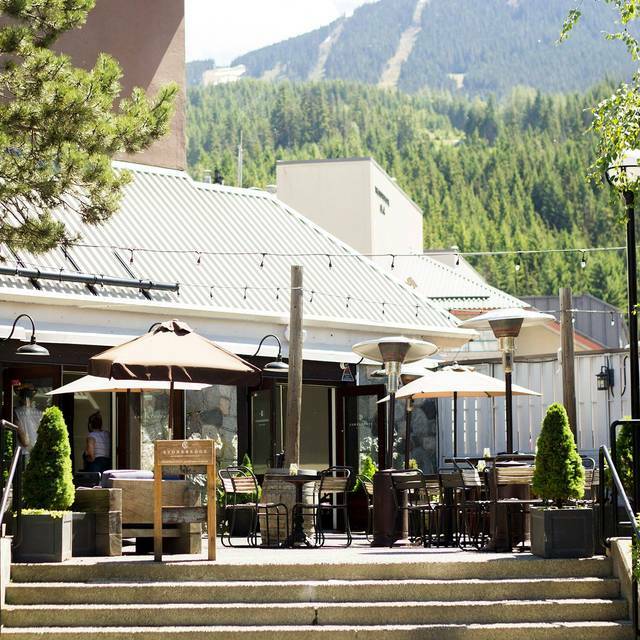 Find a seat at the long bar, in our lively dining room, or on the patio for that Whistler village energy. 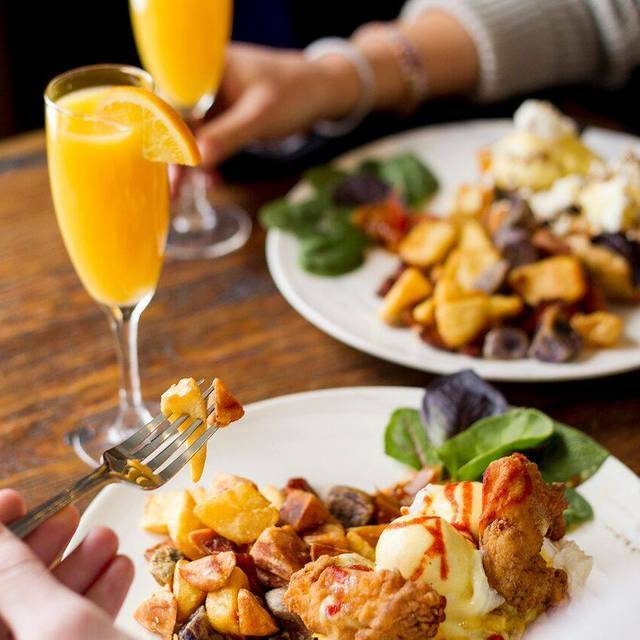 Each weekend this is the go-to brunch spot in the village, offering up indulgent nourishing fare. Located across from the Whistler Conference centre and upstairs from Buffalo Bills. Fresh selection. Served with mignonette, horseradish, lemon, notorios H.O.T. Made a reservation for a friend's birthday ( just her and I ) and unfortunately were a little let down by the experience. Once we were sat at our table it appeared that they lost track of which servers were serving which tables and ours was missed. After about 15 minutes of waiting I flagged down a server and asked that he assist us. He handled the situation well, and we were compensated with shots which I appreciated. However the food portions were very small for the price point, the ambiance was less upscale than depicted and didn't really live up to the hype. Great food, atmosphere and great service! We really enjoyed everything. Amazing service and staff. So pleasantly surprised! We ordered all small dishes and they were all fantastic. Great homemade hot sauce for the oysters. Really creative and delicious food. Service was amazing. Thank you for your feedback. Our prices are very competitive with similar restaurants in Whistler and most of our products are locally sourced from BC. Our items are made in house whenever possible, which makes them a bit more costly. We're sorry to hear that you didn't find value in our menu. Great meal. Good clean food and a nice change from slope side burgers/fries/etc. Highly recommend the grain bowl. It was excellent! Thanks for your feedback Marianna. We're glad you enjoyed your meal and look forward to having you dine with us in the future. Not recommended for young kids. No kids menu. Thank you for your feedback Nicola. We're always trying to expand our menu options to vegetarians. We do have quite a few small plates that are nice for sharing that do not have meat. We hope to have you dine with us in the future. Excellent food and service overall. Highly recommend the wings as they were some of the best I’ve had (crispy with a dry rub vs drowning in sauce). The Mac & Cheese was terrific as well. Came with wife and 9 y/o after skiing and all were very happy! The Vegan burger was subpar, too much catchup/bbq flavor and the texture was difficult. Good meal after skiing, small and very busy it seemed to be a local favourite watering hole. Delicious, trendy and friendly place. Whistler has a lot of average options and this place stands out. Superb. Scallops dish was really good, mussels were good, overall a good place for a meal but doesn't really stand up to some of the heavy hitters in Whistler Village on a couple levels. Your cost guide for this restaurant is incorrect. The small plate items, which are a major part of the menu, are ridiculously small. I ordered the scallops. They served two medium sized scallops that were average at best. Drinks and wine are very expensive. I talked to our server and let him know that we felt this meal was a poor value, and I sensed that he had heard this complaint many times. Would not recommend. Poor food, service and drinks. I would not recommend this restaurant. Served true wrong salad, was supposed to be for another table and was missing a few ingredients. Hi Diana, Thanks for your feedback. We apologize for the mixup and hope that you brought it to our attention during your stay so we could've corrected it! We hope to see you in the future. We thoroughly enjoyed the appetizers-truffle fries, Mac and Cheese, and onion dip. We ate so much of those we had little room for entrees. I am gluten free so I had the trout. It was decent, but didn’t blow me away. My husband said the burger was excellent and the side of tomato soup was good. My daughter had the chicken dish and said it was delicious. We would definitely return on a future trip. It was noises towards the end as it was filling up. Hi KelaxeIrad, Thanks for your feedback and we're glad you enjoyed your meal and stay! Look forward to dining with you in the future. 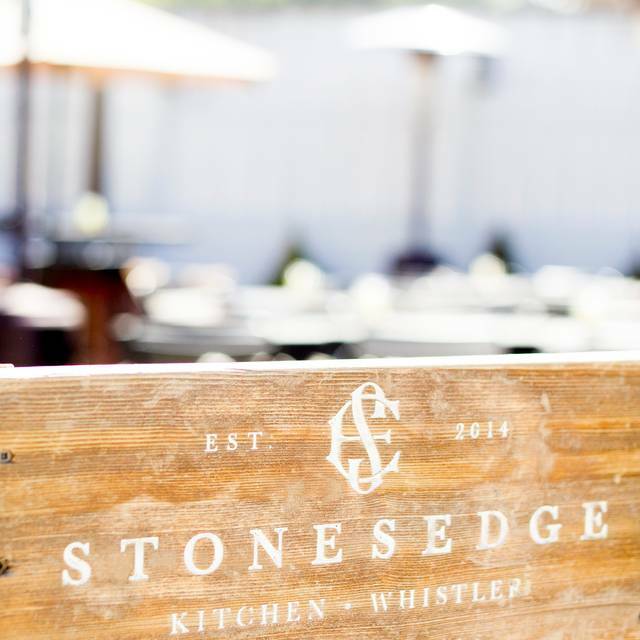 One of the best restaurants in the Whistler Village! Be sure to make a reservation. Wouldn't go here again purely down to the fact that the waitress forgot to come back and give me the information I required regarding allergies. I had to go and find her to find out what I needed to know and there was no apology for forgetting. This resulted in me having to change my meal order. We also had to chase our drinks as she'd forgotten those as well, only to be bought the wrong drink. It's very dark in there to the point where someone on a different table used their phone to read the menu. They were quick enough to take our money though! We arrived shortly what appeared to have been a rush, with reservations host seated us at a bar hi-top. We ordered a round of drinks, martini and gin and tonic. Wife asked to have belvedere vodka. Food was good, we ordered oysters, large salad and wings. Sever checked on on forgot to bring second round of drinks. He finally remembers 10 mins later. Receiving check we notice a $24 up charge for the premium vodka on top of the $15 base price. Definitely not worth that. 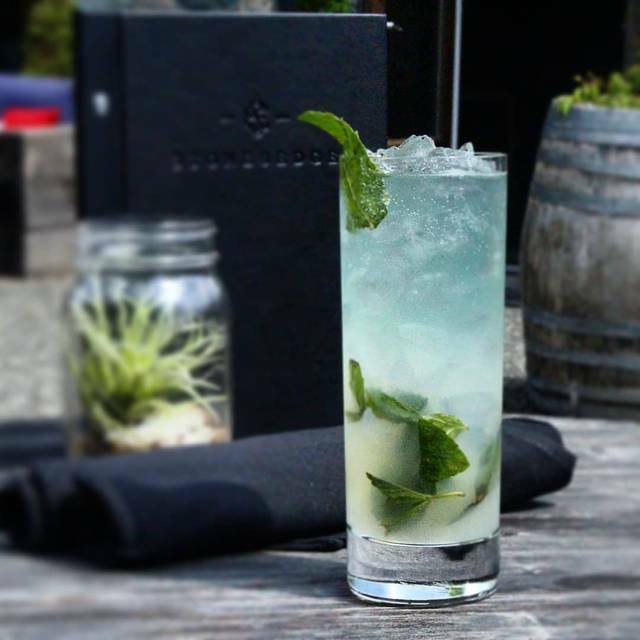 We’ll likely give the place one more try, but we’ll be more cautious when ordering drinks with no price. Hi Jon, Thanks for your feedback as it helps us improve our service for the future. We're glad you enjoyed your food and drinks and apologize for the confusion in the up-charge for the spirits. The charge was $12 per drink - or $6 an ounce, and it is quite common to charge more for premium products. We hope to see you and your wife in the future. Great food - easy atmosphere. Service also nice and not in your face. Hi Simone, Thanks your your review. We're glad you enjoyed your meal and service. We look forward to hosting your group in the future. The soup was cold when it arrived (practically like gelatin), It was supposed to be ham and pea soup but was only more like a vegetable broth with a scraping of ham and a few peas in it. The burger was ok. Service very friendly and as attentive as they could manage considering the place was full. Hi Jay, Thank you for your review! We're glad you enjoyed your visit. Dinner special, seafood trio, was excellent. Dessert was not to my liking. Nice ambiance. Food was awesome. Atmosphere was amazing and service was wonderful. We had a very good lunch and a very good dinner previously so had high expectations for another good meal. Service was off tonight, slow and without thought. As an example, brought out appetizers to share but no plates. Asked for check then had to wait about 15 minutes to pay. However, we had 2 out of 3 good experiences so we’ll go back. Fun food to share and casual atmosphere. Would eat there again. The food was great and our table was nice and quiet. Our server was way too busy and we only saw them three times in our two hours there. We would have ordered more drinks but what was the point. It took so long to get them we would have been finished and out the door before they arrived. I think we just happened to have a perfect storm of the server getting multiple tables sat at the same time. Oh well, we still enjoyed ourselves. We were looking forward to eating here as I read great reviews. We had a reservation at 8p, sat at 805p and ordered drinks and food shortly thereafter. Our drinks came in a timely manner but then we didn’t see our waitress again until I checked my watch and saw it was 905p. By this time we never had water refilled or checked to see how we were doing. A separate male came by stating our order was never put in. We finally got our food around 915p. We were extremely disappointed with the service. They did comp our food which was good but overall we were highly disappointed as we were the only couple in a seemingly full restaurant of large parties that all seemed to be the priority of the restaurant. Please be aware that if you are a couple you may want to go elsewhere. 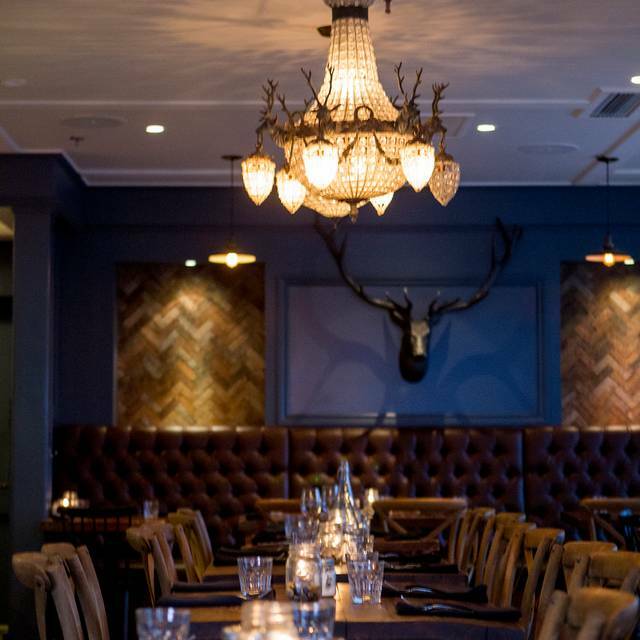 Small plates were fantastic, would definitely recommend for the food, price and service. The small plates - not so small- were fabulous. We made a meal of sharing them. The mussels were the best we ever had anywhere in the world. Service was great. Fun signature cocktails. Service and food was spectacular. I wish we could have ordered everything off the menu.